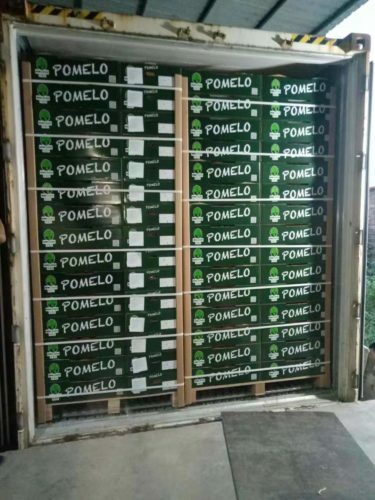 Pomelos are one of the most important fruits for the European market being imported from China. Its market has been increasing in Europe every season as people are preferring this beautiful fruit. Like every season, Don Limón imported Chinese Pomelos in the varieties Guangdong and Pinghe (named by their place of origin). The fruits arrived in Don Limón´s warehouses with high per cent of meat and good brix level and taste, making it highly acceptable. Don Limón has imported over 20 containers this season, ending our campaign on a high note. We are working towards sustainable development of the production region with our CSR innovations. It would be implemented in the coming days. As of now the next stop, we will be receiving the new crop of Chinese Ginger end of January. A new beginning for the new year.